For the past week or so I've been obsessing over skin care and makeup products, I've turned into a real product junkie 😳. 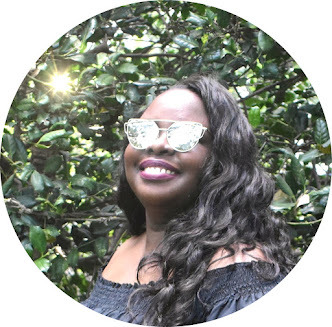 On Monday I highlighted the skin care products that I am dying to try. For this Fri-yay post I picked some Forever 21 Beauty products that I thought were unique and could actually help my skin. I really like the idea of balm cleansers, this peach scented Scinic cleanser claims that it will replace your regular liquid or wipe cleansers. This lip gloss is super cute, I love thats its watermelon scented with hints of the infused florals. I've never used a peeling gel cleanser before, this cleanser contains grapefruit extract, AHA, and BHA that are all supposed to help renew, moisturize and sooth your skin. 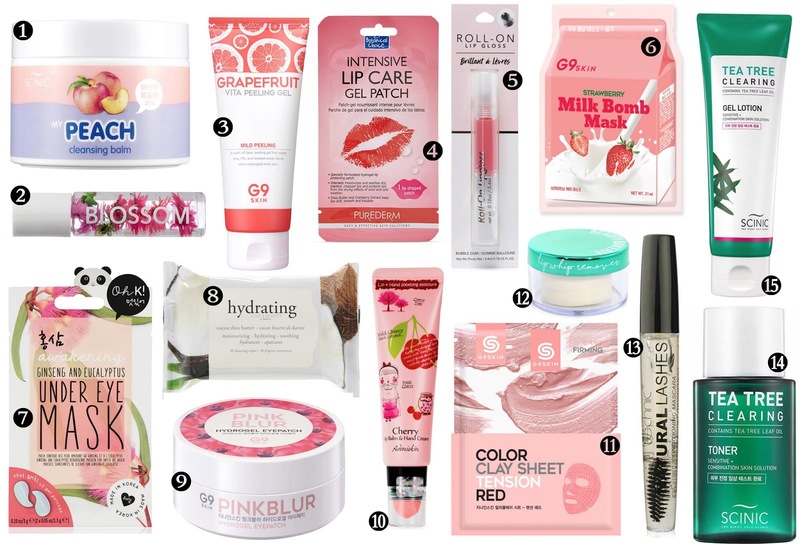 I love anything that is supposed to make your lips softer. This lip sheet mask is enriched with shea butter, cranberry extract, jojoba oil, and vitamin E. Its supposed to hydrate dry, cracked and chapped lips. After using the product your lips are supposed to be left moisturized and have a light red non-sticky tint. I'm loving the packing of this lip gloss, I like that it has a roll on applicator with a bottom push button. My love for face mask continues with this sheet mask that contains milk protein extract that is supposed to brighten your skin. I really want to start using under eye mask in my skin regime. These under eye gel pads contain ginseng and eucalyptus that are supposed to help soothe and reduce puffiness under the eye. This pack of cleansing wipes contain cocoa shea butter that helps hydrate and soothe skin when your removing makeup or just need to cleanse your face. This container of patches can be used on your eyelids and under eyes. Its meant to provide intense moisture and provide a cooling effect. This balm and hand cream claims to be a 2-in-1 lip balm and hand cream. Twist opening the black cap reveals the hand cream thats supposed to provide hydration and smooth dry hands without stickiness. Twist opening the clear cap reveals the lip balm to help keep your lips moist. Another day another sheet mask, I like that this mask contains Moroccan clay, charcoal powder, and volcanic ash. The mask is supposed to lift, firm and improve the elasticity of the skin. I did not know there such things lipstick wipes, but the idea is genius. The oil-based wipes remove lip products while also forming a barrier that locks the moisture keeping your lips soft and supple. This clear mascara says to be formulated with seaweed extracts that help prevent brittleness and dryness of your eyelashes. My lashes need all the help they can get! Anything that has tea tree oil in it is something that I have to have. This clearing toner claims to reduce irritation, redness and itching of skin while also cleansing your pores. This gel lotion cleanser contains aloe extract, tea tree oil and orange blossom oil. I like that its a gel cleanser, anything gel automatically has my interest. 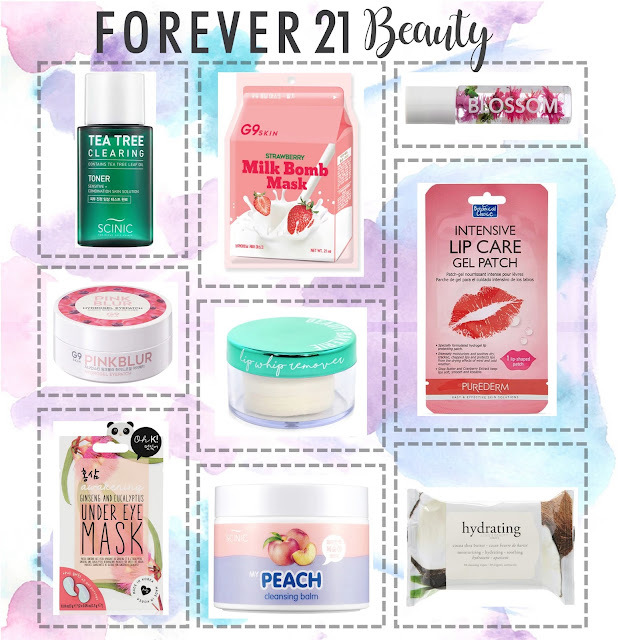 Which F21 Beauty product do you want to try?